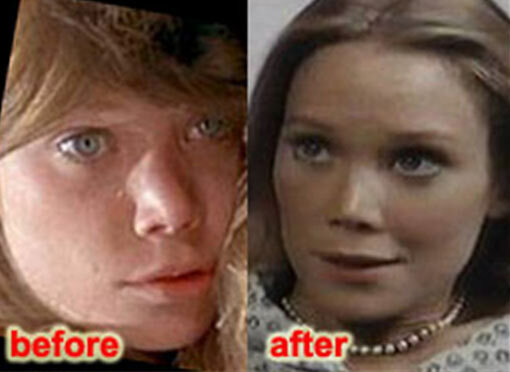 Sissy Spacek before and after nose job plastic surgery. Sissy Spacek is an accomplished hollywood actress who is best known for her role as Carrie White in 1976 horror flick Carrie. She also later won an Oscar for her role as Loretta Lynn in Coal Miner's Daughter. Long before it was hip and cool to have plastic surgery, Sissy Spacek went under the knife for a drastic appearance altering nose job procedure which reduced her nose to about half the natural size, both the bridge and tip of the nose. Flash forward 30 plus years and we see Sissy Spacek with her unnaturally small nose, along with even more speculation of other plastic surgery procedures, including a brow lift and eye lift operation. They say hindsight is 20/20, so you play the role of Sissy Spacek and tell us how you feel about this foreseen rhinoplasty plastic surgery adjustments you made back in the 70's. 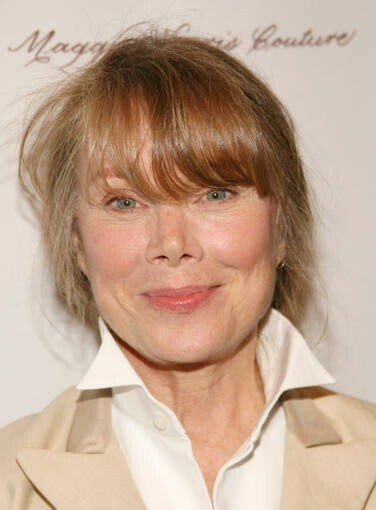 Recent photo of actress Sissy Spacek, 30 years after nose job plastic surgery.